Hailing from Southern New Hampshire, Hunter is a dynamic four piece alternative rock band defined by their energetic live performances and unique songwriting style. Formed in early 2014, Hunter has already performed in numerous venues across Southern NH and Northern MA to great results and have more recently been making their way onto mainstream radio stations such as 106.3 Frank, Boston-based alternative station Radio 92.9, and 107.3 WAAF. 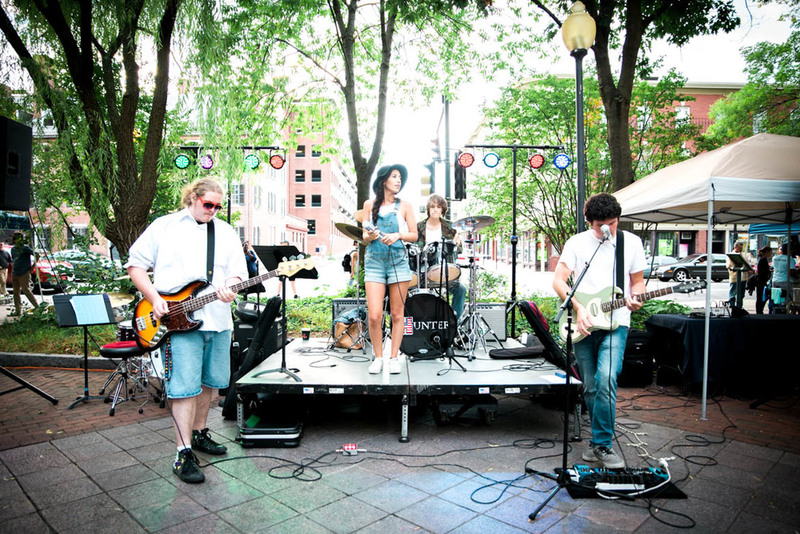 The band has also been featured in several publications including The Nashua Telegraph, The Hippo, Howl Magazine, and EvoRad magazine as well as appearing on the EvoRad radio show and 100.1 IPM Nation’s radio show. Their live shows include a dynamic group of covers as well as many of their own songs. The band has a distinctive feel which blends the sounds of folk, blues, indie, and alternative rock. The quartet’s self produced debut album was released on August 29th and includes ten of their original songs. Though the members of the band all come from very different musical backgrounds, they are all highly experienced, charismatic musicians and close friends who share a similar artistic vision. When brought together, their individual styles result in a genre of its own. Online Tickets are available here. Tickets will be sold at Check-in sites beginning at 3:45pm.